With busy home and work schedules sometimes it’s hard to prepare foods and snacks ahead of time. A lot of times we find ourselves grabbing for a “bar” for a quick bite and automatically assume it must be somewhat healthy. Unfortunately many bars contain additives and preservatives, GMOs, artificial colors and flavors and excess sugars in the form of high fructose corn syrup. So, what does one want to look for when trying to pick a healthy nutrition bar? First off, I always check out the ingredients. You want to see words you understand and actually know what they are instead of having to pull out your phone to search for a definition of one of the ingredients. Next, I check the calories, protein and fiber. I like to see at least 7 grams of protein, 4 grams of fiber per bar and no more than 200 calories. Lastly I check out the sugar content. The rule here is the lower the better! I don’t like to purchase anything above 5 grams of sugar per bar. Oh, and they have to taste good!! I would want to eat a bar that tastes like wood chippings as I’m sure you wouldn’t want that either. All of these factors play into my choices for my favorite bars. Kind bars (the new LOW SUGAR varieties) – Kind bars are great. Natural ingredients you can understand, the new lower sugar varieties have 5 grams or less of sugar, 4 grams of fiber, 7 grams of protein and have around 200 calories. Not to mention they taste like a candy bar! My personal favorite is the Dark Chocolate, Nuts and Sea Salt. Oatmega bars — Excellent, all natural bars that add in essential omega 3 fatty acids for an added bonus. My favorite, Chocolate Mint Crisp, has 190 calories, 5 grams of sugar, 7 grams of fiber and 14 grams of protein. Pretty awesome stats! NuGo Slim bars— These bars are excellent! Non-GMO, natural ingredients with an amazing nutrient balance. My favorite flavor, Chocolate Raspberry Truffle, contains 190 calories, 16 grams of protein, 7 grams of fiber and only 2 grams of sugar. Not to mention that it really does taste like a chocolate raspberry truffle! Raw Rev Glo bars – Minimally processed bar containing certified organic, mostly raw ingredients. My choice, Peanut Butter, Dark Chocolate and Sea Salt is reminiscent of a peanut butter cup without the guilt! This bar contains 180 calories, 11 grams of protein, 13 grams of fiber and only 3 grams of sugar. That’s a little bit healthier than a Reese’s. No Cow Bar — Fantastic bar, weird name! The bar is named because there is no dairy or whey protein, so it’s safe for people with a lactose allergy. This bar is also all natural, non-GMO and gluten free. My favorite flavor here is the Mint Chocolate Chip, which is a powerhouse of balanced nutrition at 160 calories, 19 grams of fiber, 20 grams of protein and only 1 gram of sugar! 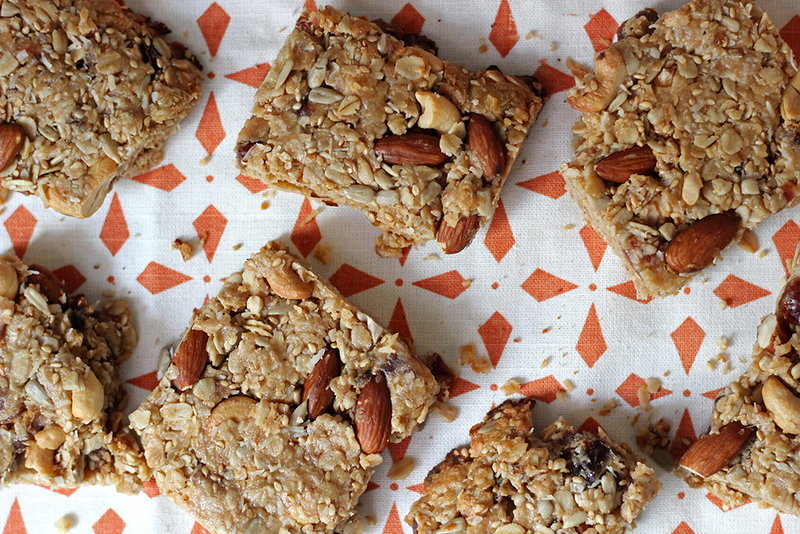 Try these tasty, healthy treats out and be the judge yourself! Good for you food doesn’t have to taste like it’s good for you!